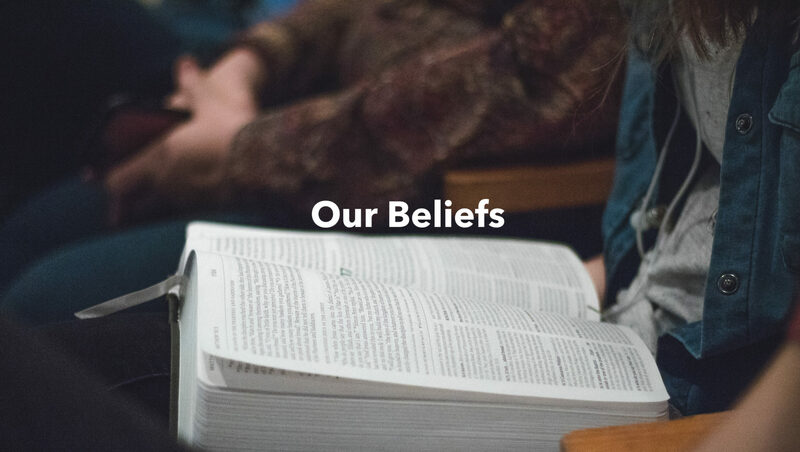 We believe that the Bible is the Word of God which is completely free of error and incapable of being wrong. It was written by men supernaturally inspired by God and provides wisdom, instruction, and revelation to all who read it. We believe that there is one God revealed in three persons. God the Father is the Almighty Creator who has made everything for His glory. Jesus is the Son of God who gave Himself on a cross to rid the world of the stain of sin. The Holy Spirit is our comforter and leads us into truth. We believe that sin is the immoral nature inherited at birth that separates us from God. Salvation is a free gift from God for the forgiveness of sins and a reconnection with Him through Jesus Christ. We believe that baptism is a symbol of the life change that has occurred in your heart after salvation. Communion is a commandment given to those who have placed their faith in Christ to remember the sacrifice Jesus made on the cross. Neither are required or necessary for salvation.